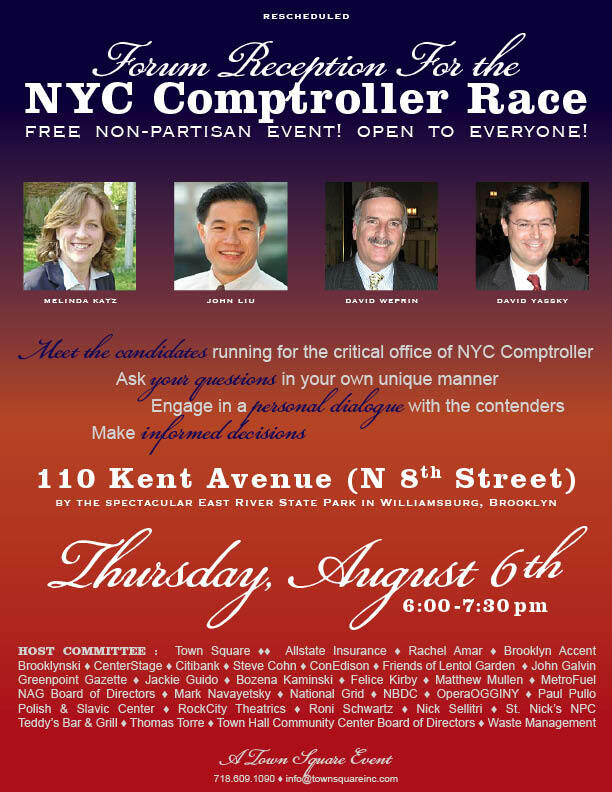 Town Square is hosting a forum for the four Comptroller candidates tomorrow evening in East River State Park. So far, three of the four have confirmed (Melinda? ).